An informal talk on Limb care and Lymphoedema will be held on Thursday, January 26 at Rock Rose House, Castlebar from 7pm to 9pm. All welcome. Call (094 ) 9038407 for further details. Erris HeartBeat Defib /Erris CFR's annual church gate collection will be taken up in all churches in Erris on the weekend of Saturday February 4 and Sunday February 5. Your support would be greatly appreciated. Claremorris Soccer Club AGM will take place on Thursday January 26 at 8.30pm in The Dalton Inn. The club is asking for new members to get involved in the club so that it can continue to cater for the large number of players it has. 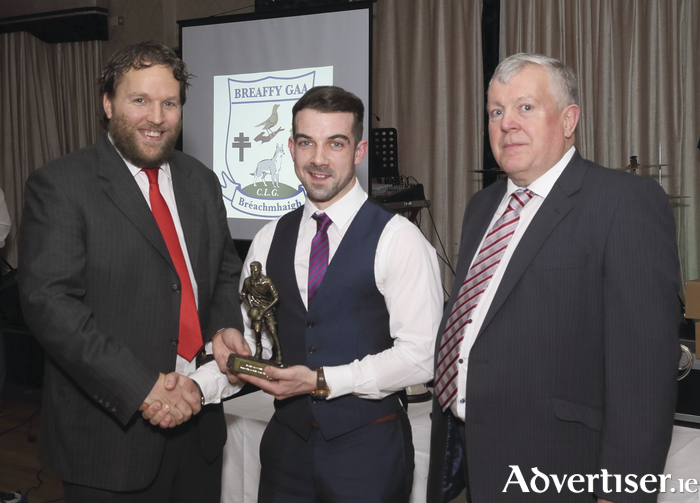 The club presentation evening will take place on Sunday January 29 at 6pm in The Dalton Inn. On Saturday February 4 the Mayo Branch of BirdWatch Ireland will be holding an outing to Killala to see the birds that winter in the Bay. Meet in the car park overlooking the harbour (Wild Atlantic Way marker ), at 12 noon. Bring binoculars and telescopes, if you have them, but there will be some available on the day if you do not. Dress for the weather and you may wish to bring a flask and a snack. This event is suitable for beginners and birders of all ages, and is weather dependent. Contact Ruth on (087 ) 643-2340 or check www.birdwatchmayo.org for further information and updates. The Society kicks off its session of lectures for 2017 with a lecture entitled "Castlebar 1600-present; history of a county capital". The lecture will be given by Noel Campbell, author of of a History of Castlebar Municipal Government 1613-2014. Noel currently writes the weekly Mayo Advertiser history column “Old Mayo” and has also covered the history of the county in his role as a presenter on CRCfm. Noel has worked in The National Museum of Ireland since 2001, and was himself a member of Castlebar UDC, 2004-2009. The venue for this lecture will be GMIT, Castlebar Campus, on Wednesday, January 26 at 8pm sharp. An enrolment evening will be held in Meelickmore NS, Claremorris, on Wednesday January 25 between 6pm and 7pm. All are welcome to visit and see the school's new new facilities including the new library and recently opened astroturf pitch. Anyone unable to attend on that evening is welcome to contact the school at (094 ) 9362424 or email [email protected]. The Galway Dyspraxia Support Group is holding a talk on 'Transitioning from Primary to Secondary School for Children with DCD/Dyspraxia' in the Connacht Hotel on Wednesday January 25 at 8pm. Doors open at 7.30pm and tickets cost €5. The speakers will be Emer McDonagh, child psychotherapist and play therapist, and Eileen Delaney, school principal. For more information contact [email protected]. Taoist tai chi reduces stress and calms the mind and helps with a wide range of health concerns. A new beginners' class starts in the Social Services Centre, Castle Street car park, Castlebar, on Tuesday 31 at 10am. For more information contact (087 ) 6709128 or email: [email protected]. A pilgrimage takes place from August 23 to 30 with Joe Walsh Tours. The tickets costs €719 each and there are only a small number remaining. A non-refundable €200 deposit can reserve a seat. The flight is from Knock Airport to Mostar Airport, only 30 minutes from Medjugorje. Accommodation is at the Dubrovnik Hotel, across the road from St James's Church. Spiritual director to be confirmed. For details contact Bernard at (094 ) 9543072. Saturday Forum on Community Radio for Castlebar returns to the airwaves this Saturday January 21 at the new time of 12 noon to 1pm. Presenter Noel Campbell will be joined in the station's new studio by Orla Cunningham, co-founder of All In Design and Print and newly elected president of Network Mayo for 2017. Also joining Noel will be Fergus Walsh, co-founder of Bikes and Boards, a bicycle, boat and stand up paddle boarding rental company based in Lough Lannagh Holiday Village. The young entrepreneurs will be discussing the rewards and challenges of running a business as well as looking forward to some of the highlights in store for the coming year. Listeners can tune into Saturday Forum on 102.9fm and are invited to contact the show by calling (094 ) 9027442, texting (087 ) 9350043 or emailing [email protected]. Getting to the bottom of a murder mystery and what do do if you have only a few minutes to prepare a speech were just two of the items on the first meeting of the new year for Castlebar Toastmasters. There was an air of excitement about as the club is expected to meet its target in being accepted as a chartered club by Toastmasters International in the coming weeks, joining the county's existing chartered clubs at Ballina and Westport. The club is still accepting membership applications and if anyone in Castlebar or surrounding area is interested in learning about Toastmasters, he/she can attend the meetings which are held fortnightly in Helena Chocolates, Cavendish Lane, Castlebar. The next meeting takes place on Tuesday evening January 24 from 7.45pm to 10pm. There is a charge of €5 on the door. To find out more see. www.castlebartoastmasters.com or email: [email protected]. Mayo North East LEADER Partnership Company is organising a free healthcare support training course in Swinford for unemployed people or people in part-time employment who are interested in pursuing a career as a care assistant. On successful completion of the course learners will have gained a Healthcare Support QQI Level 5 Major award. Garda vetting must be successfully completed. Training will commence one day per week on Wednesday, January 25. Places are limited and early booking is advised. Contact Dolores McNicholas at (087 ) 7704251, email [email protected] to secure a place on the course. This training is funded under the Social Inclusion and Community Activation Programme. Islandeady Cycling Club has organised a special information evening this evening, January 20 at 7pm at its cycling club house in Jack's Old Cottage, Islandeady, Castlebar. This special information evening is free of charge and open to the general public. Eamon Marrey from Marrey’s cycles in Ballinrobe will give a workshop presentation on bike maintenance, roadside repairs, and general hints and tips on all aspects of road cycling. Eamon brings 20 years' experience in both road cycling and bike servicing to this special free demo event which is open to the general public. For more information on Islandeady Cycling Club visit its Facebook page at www.facebook.com/islandeadycycling or contact club president Joe Moylette on (087 ) 9443626. Bingo continues every Monday night at 8.30pm in Balla Community Resource Centre with excellent prizes. Active retired group meets every Friday at 3pm in the Resource Centre. The guardian and toddler group meets every Wednesday morning from 10.30am to 12 noon. The knitting and crochet group takes place every Wednesday evening from 7pm to 9 pm. A weight management group takes place every Tuesday evening from 6.30pm to 8pm. Killkelly library will be opened on Wednesday between 1pm and 5pm and it offers photocopying and internet access. The library can play a vital role in the community and it is looking for your support. Noirin the librarian is available to speak to people in connection with any ideas that they may have for the library. You can contact the library at (094 ) 9367758. If you are over 21 and on social welfare you could be eligible to join the MSLETB VTOS programme in Belmullet. Get a QQI Level 5 certificate and keep your benefits while you learn. Higher rates for under 25s. Childcare may be available. Meal and travel allowances are payable. Contact Theresa on (097 ) 20901 or [email protected]. The Bereavement Support Group meets at the Family Centre in Knock every Wednesday at 11am. For more information contact Deirdre on (087 ) 2418616. Grow meetings in Ballina Community Centre on Teeling Street continue on Tuesdays at 8pm. If you would like to submit a note for Community Diary, please email [email protected] by 5pm on the Monday before the next publication date.